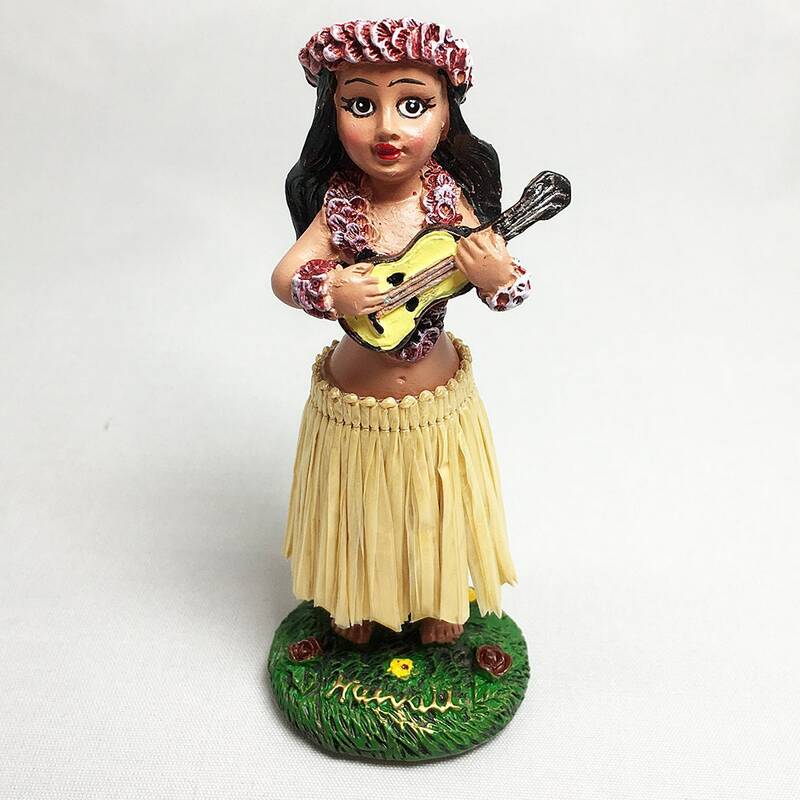 These mini dashboard hula dolls wiggle and dance! They are the perfect size for modern vehicle dashboards. Made of poly resin, each comes with a double stick tape pad, the skirt is a natural color plastic raffia.